Is Black Canary dead in Arrow? 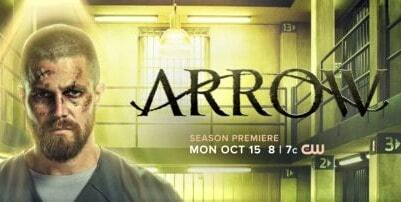 Arrow 150th episode has surprised all fans. Yesterday’s milestone 150th episode of Arrow held a lot of surprises for fans as various characters from the show’s seven-season history showed up for the “narrative”. In any case, not all of the astonishments were charming ones. For a few characters, “Emerald Archer” may have quite recently revealed an exceptionally dark fate. SPOILERS FOR ‘EMERALD ARCHER’ EPISODE BELOW. The vast majority of “Emerald Archer” was exhibited as a documentary about Oliver Queen as the Green Arrow. However, there was still a real villain for the recently delegated former vigilante to confront, the vigilante-chasing Chimera. Early on, Chimera assaults and steals the new Green Arrow, Emiko Queen, driving Oliver to look for his sister. What is found is startling. Chimera is pursuing all of Star City’s vigilantes, taking their masks as trophies after he apparently kills them. At the point when the heroes make it to Chimera’s sanctuary, they find some masks he’s now taken which includes Emiko’s as well. There are also masks belonging with Huntress/Helena Bertinelli and Ragman/Rory Regan. While Emiko is found and saved, the same can’t be said for Huntress and Ragman. Later in the episode, after the team knows about what Chimera is doing, it’s revealed that efforts to track and find both Huntress and Ragman to keep an eye on them have come up void. Now, neither one of the vigilantes are reacting to contact attempts. It’s very unlikely that either would have quite recently surrendered their masks. And particularly Ragman. His clothes were things he had a deep personal connection with – it’s accepted that Chimera killed the heroes. ARE ‘ARROW’ FANS READY FOR CRISIS ON INFINITE EARTHS? While Team Arrow returns together and figures out how to stop Chimera, the episode doesn’t uncover what happens for Ragman and Huntress. After he’s captured it’s prominent that he assaults vigilantes since he wants their masks. But it isn’t actually clear whether everybody survives those attacks. Given how extremely injured Emiko was and how close Wild Dog/Rene Ramirez came to, as Diggle put it, nearly being sliced in half, it doesn’t look good for the heroes. That said, as we’ve found in the Arrowverse if you don’t witness the death happens, there’s dependably a chance that the supposedly deceased survived (Ricardo Diaz winding up in the river in the Season 6 finale, anybody?). It’s certainly feasible that both Huntress and Ragman survived their encounter with Chimera and are basically keeping low, recouping from the assault just to return later on. Also, there will be open door for the characters to return. Not only has Arrow been renewed for an eighth season, “Crisis on Infinite Earths” is going to the Arrowverse this fall. An event of that greatness is particularly an all-heroes-on-deck moment, one Huntress and Ragman would surely be a part of if they could.